We are finally unwinding from participating in the Houston Bridal Extravaganza at the George R. Brown Convention Center. One of the highlights was actually seeing Randi Fenoli of Say Yes to the Dress fame. He’s even cuter in person! What a treat to meet so many lovely brides, grooms and their entourages. Wedding bells will be ringing across Houston for sure! As a preferred vendor we gave away $1000 worth of laser services to one lucky winner, and signed up over 300 brides for a free laser session. With all the preparations involved in planning a wedding, it’s very important for a busy bride not to neglect herself. 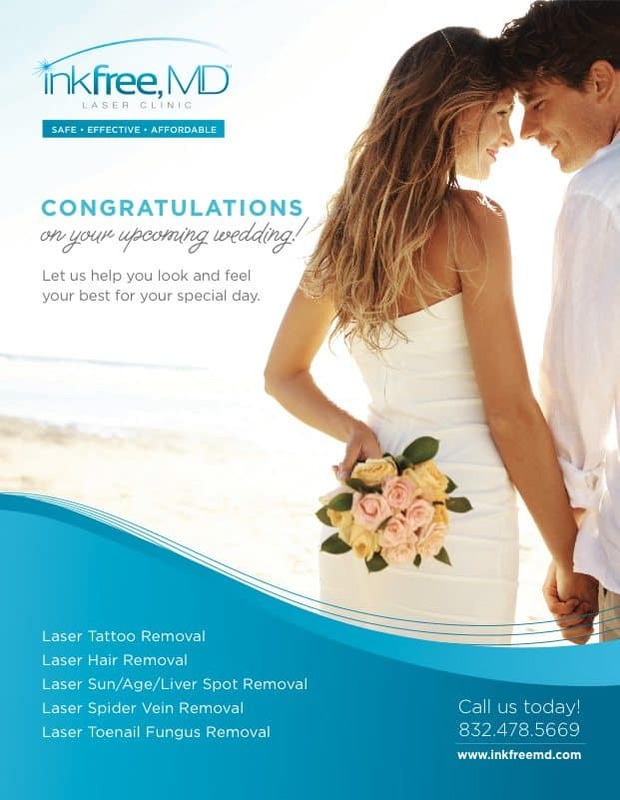 What better way to make sure you’re looking and feeling your best for your special day then with laser tattoo removal, laser hair removal or a fabulous VI Peel.